Rumors are rolling regarding upcoming products to be featured at Celebration Anaheim. 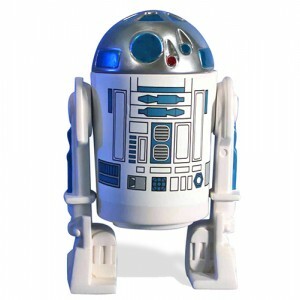 The latest is that Gentle Giant is planning on releasing R2-D2 as part of their Life Size line of Kenner figure statues. Look for more info on this in the coming days. * Image above is representational only, not of Gentle Giant product. The May the Fourth festivities continue at Sideshow Collectibles with the announcement of their Life Size Yoda figure. Standing 32 inches tall on a Dagobah themed environment base (complete with colorful morp critter), Sideshow’s life-size Yoda replica is a dream come true for any Star Wars collector! The Jedi Master is available for pre-order now at $2499.00 and is expected to ship at the end of the year. A Flex Pay option is also available. Sideshow Collectibles kicks off their May the 4th festivities with the launching of their Life-Size Boba Fett figure pre-order. This bounty doesn’t come cheap at $7,499, but it will start shipping this September so you won’t have to wait long to have it front and center in your collection. Gentle Giant has also announced their next release in the Vintage Life-Size Monument line – Darth Vader! Sideshow is now taking pre-orders for the Life-Size Han Solo Carbonite figure. Expertly recreated in fiberglass and high quality materials, film-accurate light effects in the base, side panels and rear power canisters provide added authenticity to Solo’s carbonite prison. Comes with full-color detailed instructions, some assembly is required. Ugnaughts not included. Seven-thousand, no less (and probably a heck of a lot more with shipping) – that’s how many credits Sideshow’s Life-Size Han in Carbonite will set you back according to their latest blog update. Boasting stunning realism and film accurate lighting effects, this piece will surely be the prized bounty in anyone’s collection. Pre-orders start this Thursday. Sideshow Collectibles has updated with a nice teaser for their upcoming Han Solo in Carbonite Life Size Figure. Gentle Giant has updated today and is now taking pre-orders for their impressive Vintage Stormtrooper Life Size Monument. Sideshow Collectibles announced during their Star Wars Collectibles panel today at SDCC that they have a life-size Yoda from The Empire Strikes Back in the works. Not word on price but it is sure to be impressive.